Are you worried about an air conditioner that starts up, runs only briefly, and then cycles right back down? Are you tired of dealing with high heating costs once the temperatures drop? Do you want to improve your comfort and your health by improving the quality of the air that you breathe in your home? Whatever the case may be, you’ve come to right the place. Area Heating & Cooling, Inc. brings more than four decades of experience to the job, and our technicians are some of the finest in the industry. From heating repairs to air conditioning replacements and indoor air quality systems and services in Kelso, WA, we’ve got what you need to live in the comfort that you demand and deserve. Winters in Washington may not be as extreme as those in Vermont or Minnesota, but we do have plenty of uncomfortably cold weather to deal with. 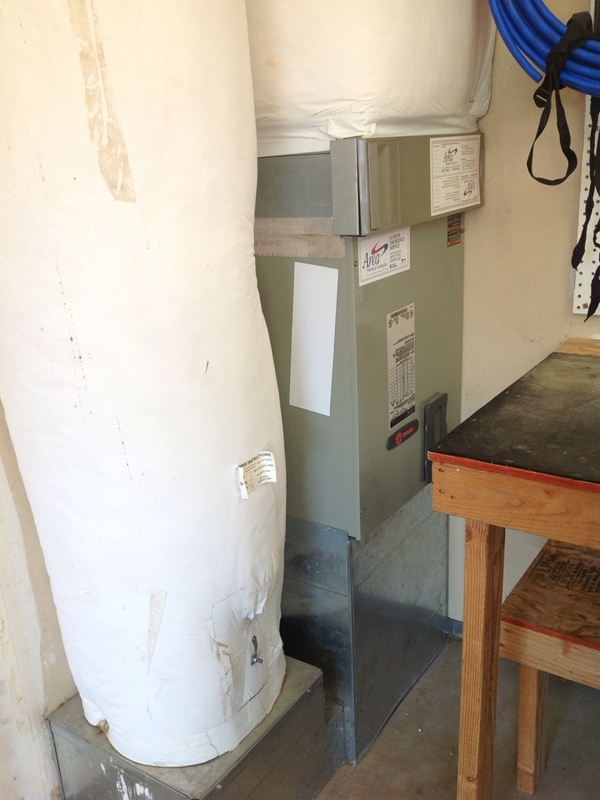 Is your heater in Kelso, WA prepared to do so effectively? We’ll make sure that this is the case. Whether you want a brand new furnace installed or you’d like to try something new, like a heat pump, ductless mini split, or dual fuel system, we’ll help you to find the right heater for your home and personal preference. Furnaces remain an incredibly popular home heating choice – probably the most popular in the country. This comes as no surprise, considering how effective and efficient they can be. Just remember that you are not going to get the best performance possible from any furnace if your furnace installation in Kelso, WA is not completed properly. We’ll see to it that it is, and we can handle your furnace repairs and maintenance, too. You deserve an efficient, dependable, and safe performance from your furnace. When we say "ductless" HVAC, we’re not talking about window unit ACs or space heaters. A ductless system is still a whole–house system – for both heating and cooling! Standard air–source heat pumps use air ducts, while ductless systems are heat pumps that forgo the ducts for individual, wall–mounted air handlers/blowers. Both systems cool homes in the summer, and reverse their operation to use existing heat in the air outside in order to heat homes in the winter. Call to learn more. No matter what type of air conditioner you may use in your home, it is vital that you have your air conditioning installation in Kelso, WA completed by a qualified professional. You don’t want to waste money on more cooling power than you need, but you also don’t want to waste money on an undersized system that cannot handle the cooling demand in your home. When we install or replace your air conditioner, the job will be done right. At some point, you are going to run into problems with your air conditioner. It is unavoidable, as is the case with any mechanical system. The important thing is to schedule prompt air conditioning repairs when trouble does arise. That way, you can prevent further damage from developing. Remember too that routine air conditioning maintenance is, without exception, the best way in which to keep your air conditioner in the best working condition possible. While keeping temperatures in your home at a comfortable level is obviously a very important endeavor, many homeowners mistakenly believe that this is all that they have to do in order to live in the level of comfort that they’re after. The fact is, however, that you are not going be comfortable if the air in your home is of a low quality, regardless of how comfortable temperatures are. We install humidifiers, dehumidifiers, air filters, air purifiers, and heat/energy recovery ventilators.